Dubai: The wintry Friday morning, which eggs on the Dubai residents to take to the streets to test their endurance, is back again. 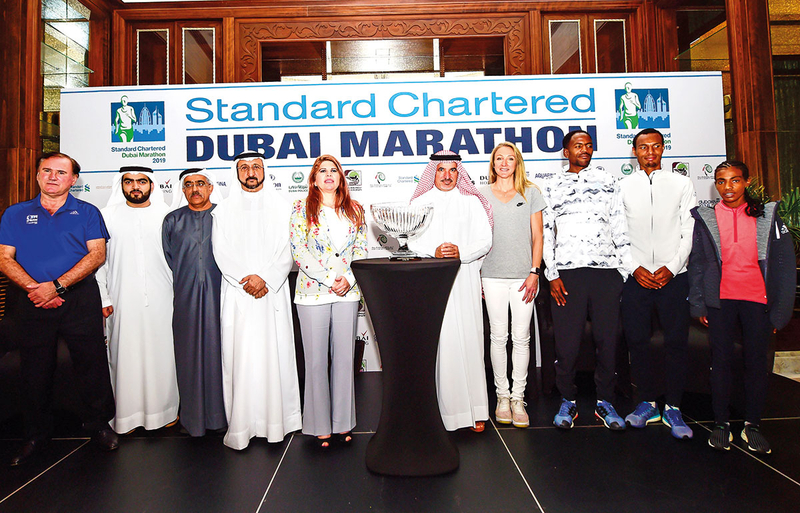 The 20th edition of Standard Chartered Dubai Marathon, which will have over 30,000 runners in fray this weekend (January 25), is one of the richest in the world with a prize money of $100,000 awaiting the winner in both men and women’s categories. The cream of marathon runners from around the world has descended here while the course, for the first time in 20 years, will remain unchanged from the last race. Ruth will have to overcome a strong challenge from former Dubai marathon winner Worknesh Degefa of Ethiopia and compatriot and 2011 World Championship bronze medallist Sharon Cherop. In the 2018 edition, two course records and splendid finishes were recorded in the men’s and women’s events. Dubai marathon has the honour of producing 13 of the fastest-ever 50 men’s times in marathon history as well as 12 of the fastest-ever 50 women’s times. Thousands of Ethiopian and Kenyan fans have always turned up to cheer their runners, especially in the finish line. Interestingly from 2012 onwards, only Ethiopians have emerged as the men’s winners. This time too, the strongest challenge to Adola will be from Ethiopia’s Asefa Mengstu, who is the reigning Seoul Marathon winner, and his compatriot Lemy Berhanu, who won the Dubai Marathon in 2015. The women’s race, meanwhile, have been dominated by the Ethiopians since 2007. Addressing the press conference to announce the event, Rola Abu Manneh, CEO, of sponsors Standard Chartered Bank, UAE said: “We are proud to be the title sponsor of the Standard Chartered Dubai Marathon for the 15th consecutive year. Beyond being one of the largest sporting events in the UAE and the region, this marathon is also aligned to our continuous efforts in promoting healthy living among our staff and the community at large.”. The event will be streamed live from the start and can be watched from the official Dubai Marathon website. The reigning women’s marathon world record holder and Paula Radcliffe and noted athletics writer Pat Butcher will be the commentators. The wheelchair marathon event will see Switzerland’s nine-time world champion Marcel Hug return to defend the title.